Fully illustrated. 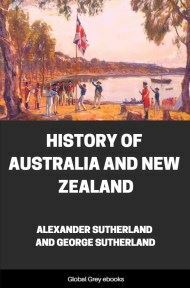 Chapters include; The Early Discoverers; The Convict Settlement At Sydney, 1788-1800; The Discoveries Of Bass And Flinders; Discoveries In The Interior, 1817-1836; New South Wales, 1838-1850; Explorations In The Interior, 1840-1860; Tasmania, 1837-1890; The Times Of The Maoris; New Zealand, 1843-1890; and, White Men And Maoris. 1. To the people who lived four centuries ago in Europe only a very small portion of the earth’s surface was known. Their geography was confined to the regions lying immediately around the Mediterranean, and including Europe, the north of Africa, and the west of Asia. 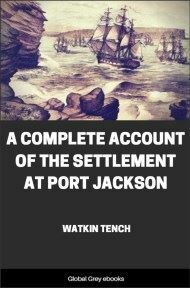 Round these there was a margin, obscurely and imperfectly described in the reports of merchants; but by far the greater part of the world was utterly unknown. Great realms of darkness stretched all beyond, and closely hemmed in the little circle of light. In these unknown lands our ancestors loved to picture everything that was strange and mysterious. They believed that the man who could penetrate far enough would find countries where inexhaustible riches were to be gathered without toil from fertile shores, or marvellous valleys; and though wild tales were told of the dangers supposed to fill these regions, yet to the more daring and adventurous these only made the visions of boundless wealth and enchanting loveliness seem more fascinating. Thus, as the art of navigation improved, and long voyages became possible, courageous seamen were tempted to venture out into the great unknown expanse. Columbus carried his trembling sailors over great tracts of unknown ocean, and discovered the two continents of America; Vasco di Gama penetrated far to the south, and rounded the Cape of Good Hope; Magellan, passing through the straits now called by his name, was the first to enter the Pacific Ocean; and so in the case of a hundred others, courage and skill carried the hardy seaman over many seas and into many lands that had lain unknown for ages. 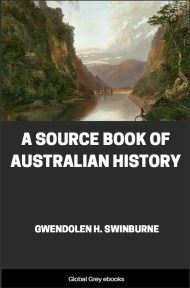 Australia was the last part of the world to be thus visited and explored. 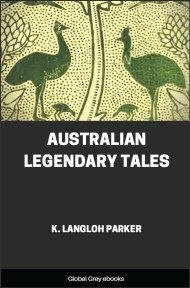 In the year 1600, during the times of Shakespeare, the region to the south of the East Indies was still as little known as ever; the rude maps of those days had only a great blank where the islands of Australia should have been. Most people thought there was nothing but the ocean in that part of the world; and as the voyage was dangerous and very long—requiring several years for its completion—scarcely any one cared to run the risk of exploring it. 2. De Quiros.—There was, however, an enthusiastic seaman who firmly believed that a great continent existed there, and who longed to go in search of it. This was De Quiros, a Spaniard, who had already sailed with a famous voyager, and now desired to set out on an expedition of his own. He spent many years in beseeching the King of Spain to furnish him with ships and men so that he might seek this southern continent. King Philip for a long time paid little attention to his entreaties, but was at last overcome by his perseverance, and told De Quiros that, though he himself had no money for such purposes, he would order the Governor of Peru to provide the necessary vessels. De Quiros carried the king’s instructions to Peru, and two ships were soon prepared and filled with suitable crews—the Capitana and the Almiranta, with a smaller vessel called the Zabra to act as tender. A nobleman named Torres was appointed second in command, and they set sail from Peru, on a prosperous voyage across the Pacific, discovering many small islands on their way, and seeing for the first time the Coral Islands of the South Seas. At length (1606) they reached a shore which stretched as far as they could see both north and south, and De Quiros thought he had discovered the great Southern Continent. He called the place “Tierra Australis del Espiritu Santo,” that is, the “Southern Land of the Holy Spirit”. It is now known that this was not really a continent, but merely one of the New Hebrides Islands, and more than a thousand miles away from the mainland. The land was filled by high mountains, verdure-clad to their summits, and sending down fine streams, which fell in hoarse-sounding waterfalls from the edges of the rocky shore, or wandered amid tropical luxuriance of plants down to the golden sands that lay within the coral barriers. The inhabitants came down to the edge of the green and shining waters making signs of peace, and twenty soldiers went ashore, along with an officer, who made friends with them, exchanging cloth for pigs and fruit. De Quiros coasted along the islands for a day or two till he entered a fine bay, where his vessels anchored, and Torres went ashore. A chief came down to meet him, offering him a present of fruit, and making signs to show that he did not wish the Spaniards to intrude upon his land. As Torres paid no attention, the chief drew a line upon the sand, and defied the Spaniards to cross it. Torres immediately stepped over it, and the natives launched some arrows at him, which dropped harmlessly from his iron armour. Then the Spaniards fired their muskets, killing the chief and a number of the naked savages. The rest stood for a moment, stupefied at the noise and flash; then turned and ran for the mountains. The Spaniards spent a few pleasant days among the fruit plantations, and slept in cool groves of overarching foliage; but subsequently they had quarrels and combats with the natives, of whom they killed a considerable number. When the Spaniards had taken on board a sufficient supply of wood and of fresh water they set sail, but had scarcely got out to sea when a fever spread among the crew, and became a perfect plague. They returned and anchored in the bay, where the vessels lay like so many hospitals. No one died, and after a few days they again put to sea, this time to be driven back again by bad weather. Torres, with two ships, safely reached the sheltering bay, but the vessel in which De Quiros sailed was unable to enter it, and had to stand out to sea and weather the storm. The sailors then refused to proceed further with the voyage, and, having risen in mutiny, compelled De Quiros to turn the vessel’s head for Mexico, which they reached after some terrible months of hunger and thirst.